“Widows” begins in modern-day Chicago when a team of armed robbers led by Harry Rawlins (Liam Neeson) are all killed during a job gone wrong. After Harry’s death, his widow Veronica (Viola Davis) comes to learn that Harry and his crew stole $2 million from Jamal Manning (Brian Tyree Henry), a crime boss who’s currently in the midst of a political campaign. When Jamal pays Veronica a visit, he makes it clear that he wants his money back. He tells Veronica that she has one month to settle her late husband’s debt or she will suffer the consequences. Veronica has no other option but to accept the terms, and when she finds Harry’s plans for another job, she decides to put a crew together. To pull off the job Veronica recruits Linda Perelli (Michelle Rodriguez) and Alice Gunner (Elizabeth Debicki), widows to the other members of Harry’s team. If the women are successful, they will settle their debt with Jamal and secure their futures. However, an already dangerous caper becomes all the more challenging when Jamal’s political rival Jack Mulligan (Colin Ferrell) and his dad Tom (Robert Duvall) become part of the equation. With all the talent involved, I had really high hopes for “Widows.” But I’m sad to say, this film was a mess from start to finish. Part of me was hoping for a fun action caper, or at the very least, a captivating crime drama. In the end, I got neither because “Widows” doesn’t seem to know what kind of movie it wants to be. The film’s tone is all over the place. Sometimes “widows” plays like a revenge thriller, but the next sequence it becomes a political drama or a sappy soap opera. The movie has very little in terms of action, with the majority of “Widows” composed of characters talking with one another. I don’t have a problem going in that direction rather than with high-octane set pieces if the conversations mean something. But the movie spends too much time repeating itself. I lost count of how many times the women discussed needing a driver. And most of those scenes were just an excuse for Viola Davis to yell at the other women for the dumbest stuff. Speaking of the cast, Viola Davis does a good job with the material she was given. She had the clearest motivation and was often underestimated by others. One thing I really liked about her performance as Veronica was how angry she became at her late husband. I got the feeling it wasn’t so much for being a thief, but because he lied to her for all those years. However, Viola Davis is the only actor that gets a full story arc. Linda Perelli (Michelle Rodriguez) and Alice Gunner (Elizabeth Debicki), don’t get nearly the same amount of story as Veronica. All I remember about Rodriguez’s character is that she has kids and owned a business. Debicki meanwhile, has a subplot where she becomes a call girl, but I don’t remember this plotline ever leading to anything major. She was, however, the most sympathetic character. As for the men in the film, Lian Neeson was collecting a paycheck, and Robert Duvall and Colin Farrell deserve better material than this. Brian Tyree Henry has a couple of nice scenes as Jamal, but the whole political race angle of the movie doesn’t have a satisfying payoff. In fact, I didn’t think any of the major plotlines had a satisfying end. Even the one confrontation I was looking forward to from early on failed to deliver. When this scene finally arrives, it lasts maybe two minutes it not less, and what happens was a letdown. When all is said and done, with that talented cast and a great director in Steve McQueen, “Widows” should have been a home run. There are glimpses here and there of what could have been a great caper film. But this movie needed some major script edits and maybe one or two fewer characters. More than once I was checking my phone to see how much time was left, and that’s not something I expected. With a new year upon us, the time has come to take a look at the movies of the past twelve months. Earlier this week I shared with you all about My Top 10 Favorite Movies of 2018. Now it is time for me to take a moment to reflect on those films that made me want to throw up this year. You know what I’m talking about, those awful movies that years later you wonder what could have made you watch them in the first place. There comes a time in a movie series when you can honestly say it has jumped the shark. For the Jurassic Park series, I thought that moment came with 2001’s “Jurassic Park III,” but 2018 had other ideas, as Jurassic World: the Fallen Kingdom” jumped over an ocean of sharks. I don’t even know where to being. Let’s see, there’s the fact that they build a Jurassic Park next to a volcano, not one, but twice. Then there’s the annoying tech guy who I spent most of the movie hoping he’d get eaten. Or the fact that the last act of “Jurassic World: Fallen Kingdom” all takes place in a freaking house. But I think what takes the cake is the freaking dino-kid. The convoluted story about terrorists looking for a hard drive and setting the building on fire is partially to blame. I still don’t understand why the bad guys set the building on fire BEFORE looking for the hard drive. But once the skyscraper is a towering inferno, everything looked so fake. Not once did I believe the Rock was in any danger from the fire or height of the structure. “Skyscraper” turned out to be more Rock vs blue screen, which brought the whole movie down for me. I can’t express how thankful I am that I didn’t spend money to see “The Predator” on the big screen. I have plenty to say about this movie, but I think I’ll save those thoughts for my upcoming Better Late than Never Review. For now, I’ll just say that there isn’t really anything about this Shane Black movie that I can praise. Oh wait, there is one thing I can praise: at least “The Predator” didn’t take place over Christmas. Ever since I saw this movie, my friend Nick and I have been having a battle of words. To him, “Teen Titans Go! To the Movies” is one of the best movies of the year, and as he likes to keep reminding me and his podcast audience, “The DC movie we all needed.” Maybe he’s right if you’re under the age of ten or so. “Teen Titans Go! To the Movies” is aimed at small children, who I’ve sure enjoyed the movie. But for me, it was an excruciating experience. From the stupid songs to the Titans’ mockery of the rest of the DC universe, nothing in this movie worked. Now Nick’s obsession with “Teen Titans Go! To the Movies” is making me question our nearly thirty years of friendship. Sigh, I really expected something great from director Alfonso Cuarón. Instead, I got “Roma,” without question one of the most boring movies I have ever seen. The characters (if you can call them that) are dull, what little plot “Roma” has is thin at best, and certain scenes go on FOREVER. I mean seriously, do we need to watch a guy park a car for five minutes, or watch the maid turn off all the lights in the house? This movie clocks in at almost 2 1/2 hours, but it felt like I was sitting there for 5 hours. “Roma” is by far my worst movie of the year, and I haven’t even mentioned the full frontal naked sword fighting scene. My, oh my how time flies when you’re not paying attention because of football season. It feels like it was only yesterday when I was trying to defend putting “Justice League” as one of my top 10 movies of 2017. Now here we are twelve months later looking back the best movies of 2018. Or at least, I’m looking back at my favorite movies of 2018. I think this past year was a special one in movies because, over the past twelve months, we have seen a wide range of excellent films in nearly every genre. Whether it was horror, drama, or superheroes, this was a year that had something for all movie fans, and even the casual fan. My only regret is I didn’t get to see as many movies in the theater as I would have liked. But then again, I’m not as crazy as my fellow TNU member Nick who saw 100 movies in the theater this year. Who knows though? maybe that can be my New Year’s resolution for 2019. 1. My earlier reviews may not always apply because opinions change after watching movies more than once. 2. There are some recent movies I haven’t seen, so don’t be shocked if “Spider-Man: Into the Spider-Verse,” “Bumblebee,” “Vice,” and many other big movies are missing from my list. By now everything that can be done with sharks has been done in movies, and it’s not as if The Meg’s plot doesn’t exactly reinvent the formula. “The Meg” is an absolutely bonkers action adventure movie with an insane plot that shouldn’t work in 2018. But somehow it everything in this movie works so well it ends up making “The Meg” one of the most entertaining movies of the year. When was the last time we could say that about a Jason Statham movie? “Crazy Rich Asians,” tells the story of American-born Chinese economics professor Rachel Chu (Constance Wu) who one day accompanies her boyfriend to Singapore for his best friend’s wedding only to get thrust into the lives of one of Asia’s richest and famous families. The stuff that leads to the wedding needs to be seen to be believed. When I first saw the trailer for “Crazy Rich Asians,” I wasn’t that impressed. It looked like a chick flick you’d see on the Hallmark channel or something. So when the film was released last summer, I skipped it. But as time went on, I realized something: everyone I knew who had seen the movie ended up loving this comedy. And now, I’m one of those people because “Crazy Rich Asians” is the only comedy on my list this year. After so many disappointing films (except for “Wonder Woman” of course), Warner Bros. and DC Comics had a lot riding on “Aquaman,” but I’d say the nailed the landing rather well. Audiences bought into the world of Arthur Curry, and I agree with them. This movie blew away any expectation I may have had thanks to great direction, special effects, humor, and charm. The biggest surprise for me was how much Amber Herd won me over as Mera. As I said in my review, she really carries the movie at times and saves the day on more than one occasion. However, I still say it would have been better to save Black Manta for a future film, but that in no way takes away from the excitement I got seeing all these characters on the screen. Evangeline Lilly, Evangeline Lilly, Evangeline Lilly, Evangeline Lilly, Evangeline Lilly, Evangeline Lilly, Evangeline Lilly, Evangeline Lilly, Evangeline Lilly, Evangeline Lilly, Evangeline Lilly, Evangeline Lilly, Evangeline Lilly, Evangeline Lilly,Evangeline Lilly, Evangeline Lilly, Evangeline Lilly, Evangeline Lilly, Evangeline Lilly, Evangeline Lilly, Evangeline Lilly,Evangeline Lilly, Evangeline Lilly, Evangeline Lilly, Evangeline Lilly, Evangeline Lilly, Evangeline Lilly, Evangeline Lilly, and Luis. I have been a Queen fan since the mid-1980s and seeing the band’s story told in such an epic way got to me. I won’t lie, I shed a tear sitting in the theater when Queen took the Live Aid stage. As far as I was concerned, I wasn’t watching Rami Malek on the screen, that was Freddie Mercury. This was a career-defining role. I won’t say “Bohemian Rhapsody” is a perfect biopic, there are things that could have been improved, But seeing “Bohemian Rhapsody” will always stand out in my mind because it is the only time I’ve been in a theater where the audience sang and clapped along. Having the audience participate like that made the music stand out more and made the entire experience that much better. Before sitting down to watch “A Quiet Place,” part of me had already decided I wasn’t going to like this movie. Sounds nuts I know, but this was because I’ve had my fill of future apocalyptic movies. I’ve seen too many this decade, and I’m also just not a huge horror fan. But I’ll be damned if “A Quiet Place” didn’t win me over. I think director John Krasinski did a smart thing by keeping the film’s focus small. He didn’t show what was going on around the world, all that mattered was John Krasinski, Emily Blunt, and their kids. This kept me engaged int he movie, and I was invested in their fates. Sometimes I think I want to see what happens next, but at the same time, “A Quiet Place” was damn close to perfect, so maybe ending things here might be the right move. I know some of you reading this are wondering why the hell “Black Panther” is down at number four of my list. It all comes down to the fact that “Black Panther” hit theaters nearly a year ago, and the rest of 2018 was loaded with excellent movies. Had “Black Panther” come out later in the year, it more than likely would have placed higher on my list. So please, just because I have this movie at number four, don’t think I didn’t care for it. “Black Panther” is one of Marvel’s best film’s to date and has perhaps my favorite cast of any of the solo Marvel movies. Not only was Chadwick Boseman brilliant as T’Challa / Black Panther, but Michael B. Jordan delivered one of the best villains of 2018. I’m actually surprised to see “Mary Poppins Returns” on my top 10 list, and shocked the film sits at number three. This came out of left field, but I promise you there are good reasons for this movie’s high placing, but I’ll go into detail in my upcoming review. Or maybe “Mary Poppins Returns” made my top 10 because it was the year of the Blunt. I struggled with putting Infinity War at number one. But the more I thought about it, the more it made sense to put this movie in second place. For one thing, Infinity War is just part of the story that will conclude in next summer’s “Avengers: Endgame.” Also, as much as I enjoyed Infinity War, I can’t deny the film’s biggest weakness was lack of screen time for some of the heroes. Regardless of that criticism, I still believe “Avengers: Infinity War” is one of the best superhero movies I’ve ever seen. Watching this movie in the theater last spring brought me back to the summer of 1991 when I would read the Infinity Gauntlet comics at the laundromat. Back then I wouldn’t have dreamed of seeing that story translated into a live action movie. Nor could I believe that the movie would top the comics in several ways. You would think a film series would start showing its age once it reaches its sixth entry, but Mission Impossible keeps getting better. The casts are better as are the plots. Fallout even managed to wrap up a loose plotline from the third film and added something to a character from the first Mission Impossible adventure from 1996. Ilsa Faust, and “Mission Impossible: Fallout” has it all! So word has it that Warner Bros. has officially confirmed that the Justice League will be the studio’s next film after “Batman vs. Superman” in 2016. 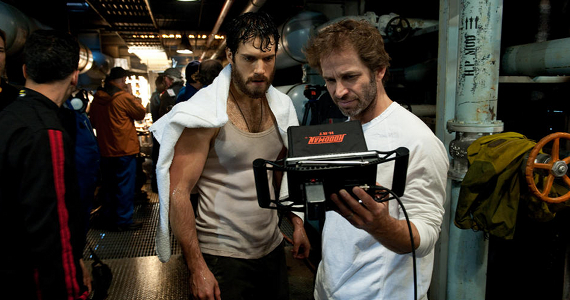 It was also announced that director Zack Snyder will direct the film. Huh. And all this time I thought “Batman vs. Superman” was gonna be the Justice League movie. Of course this isn’t the first time a justice League movie has been in the works. The studio previously tried to mount a Justice League film, with DJ Corona as Superman and Armie Hammer as Batman.But the film was scrapped in 2008 when a writers strike derailed the project. Had the movie moved forward, it would have been directed by Mad Max filmmaker George Miller. In 2005 the studio also tried launching a solo Wonder Woman film with Joss Whedon writing and directing. Tha project didn’t go anywhere, and eventually Joss Whedon became the mastermind behind Marvel’s The Avengers, the third highest grossing film ever. Bet a lot of studio execs were furious after that. Assuming the Justice League movie goes forward, I’m guessing Superman would still be played by Henry Cavill, Batman would be Ben Affleck, and Gal Gadot would play Wonder Woman. But then again, this is Warner Bros. we’re talking about. And since the movie won’t be in theatres until at least 2018, anything could happen, and probably will.